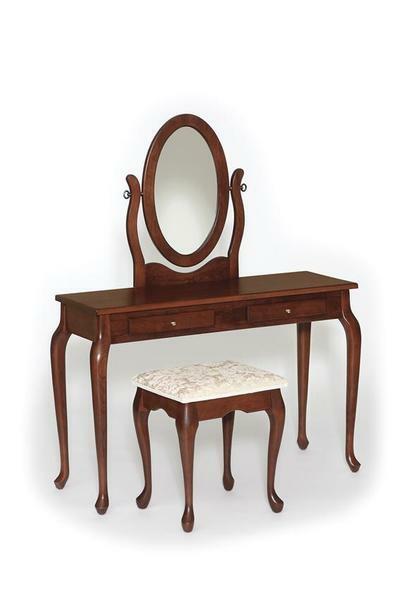 This lovely Queen Anne Dressing table is handcrafted and beautifully hand finished. Inspired from Queen Anne furniture this beautiful dressing table is the perfect spot to sit and put your make up on, fix your hair or writing a letter to an old friend. The two drawers offer a spot to hide away your clutter so you can appreciate the beauty of your new Amish furniture.